“Little Labors’’ is a short, beguiling book about babies. About babies in art (with wrongly shaped heads), about babies in literature (rare, often monstrous), and about the arrival of a baby in author Rivka Galchen’s apartment. It is not a novel, nor a memoir, nor exactly is it an essay. It is more a wunderkabinett of baby-related curios. There are anecdotes about the effort of obtaining a passport for the baby, about homeless men’s reaction to the baby, about a mean neighbor who repeatedly asks whether the baby is abnormally large. There are lists, of authors with and without kids, and of “mother writers” which includes Elena Ferrante and Sarah Manguso, and also, “two of the most celebrated,” Karl Ove Knausgaard and Louie C.K. There are ruminations on class, taste, Godzilla, Rumpelstiltskin, the color orange, screens. It is a peculiar book, and astonishing in its effect. “Expecting” is one euphemism for pregnancy, and the theme of expectation figures heavily. Galchen, author of the novel “Atmospheric Disturbances’’ and the acclaimed collection “American Innovations,’’ imagines her baby, at birth, will be “a very sophisticated form of plant life.” She finds instead it is fiercely animal. What she’s told to expect from a baby — diapers, bottles, wraps, baths, Cheerios — proves misleading. “All these things exist,” she writes, “but rise to consciousness about as often as the apartment’s electricity does.” Galchen details the rest in short, titled sections with sharp, measured prose that manages to be both intimate and detached at once, both personal and authoritative. Galchen cites “The Pillow Book,’’ the masterpiece of mid-Heian era Japan, as inspiration. Written by Sei Shonagon more than 1,000 years ago, the book, a collection of observations, advice, and opinions, is marked by a similar authoritative intimacy and is remarkable for its timelessness. And like “The Pillow Book,’’ “Little Labors’’ carries a deceptive weight. Two strange things happened as I read this book. One: it felt as though I had been reading it for ages. It’s 96 pages, diminutive; I read it over two days. But it altered my experience of time. It compressed and dilated it. Galchen writes of a seven-second iPhone video of the baby crawling across a room, picking up a toy skateboard, and eating a piece of strawberry. 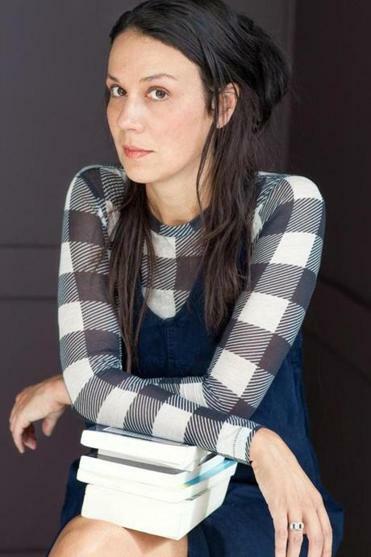 It provokes “an intensified sensation of time passing, brought about by being in touch with the illusion of time standing still.” With her density of detail and quiet detonations of the unexpected, Galchen manages to create that experience for the reader, of time passing and standing still at once. And as I read, at first I felt wrapped up in Galchen’s prose, comforted by her self-awareness of her place in the “bohemian-brooklyn-bourgeoisie,” her acknowledgment of the complicated layers of emotion and experience babies bring about (“boredom, or hostility, or love”), how she was someone who had not before been interested in babies. There was, I’ll even say, an almost swaddled feeling. And yet, as the sections accumulate, the swaddling begins to feel tighter, constricting, in moments suffocating, reflecting, again, the pendulum swing of the baby-presence experience. Galchen describes the baby’s orange snowsuit as receiving many compliments and discusses the idea of orange as a protective, gender-neutral color. She starts to notice that many of the baby’s items are orange, how it is everywhere, and it shifts for her from being safe and sanctioned to being “dictatorial,” speaking to a sinister American hubris. The transition is delineated with taut precision and a mounting unease. Adding to the impact is the unstated truth behind the whole of the book: We were once a language-less creature, animal, outside time. Galchen shows us what we were.